Replacement lamps for all models of PIONEER video and data projectors available online from www.every-projector-lamp.co.uk. Next day delivery is possible. Every make, every model - next day service. Over 6000+ models in stock now! Your first possible delivery date is : Sun, 21 Apr 2019. We supply all makes and models of replacement projector lamp currently available on the market. Stock levels on lamps are updated every five minutes. In some cases we may be able to arrange a delivery date prior to the one shown below. Your card will be pre-authorised upon completion and your order will be processed - you will receive email confirmation advising of the delivery date. Please choose a model below to view available replacement lamp modules, or type the model number into the replacement projector lamp model search field above. 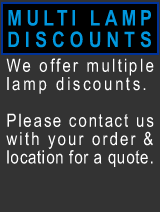 Every Projector Lamp for every make, every model. Next day service, over 6000 bulbs in stock now!